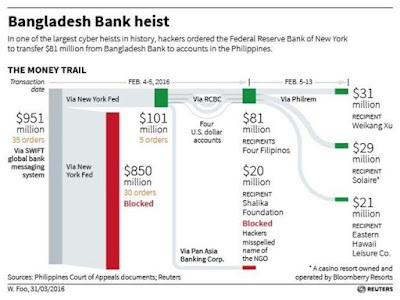 Bangladesh's central bank will file a lawsuit in New York against a Philippine bank over the world's largest cyber heist. 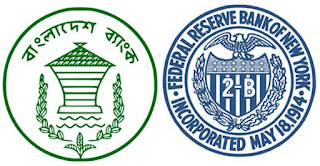 Unidentified hackers stole $81 million in February 2016 from the Bangladesh central bank's account with the US Federal Reserve in New York. The money was transferred to a Manila branch of the Rizal Commercial Banking Corp (RCBC), then quickly withdrawn and laundered through local casinos. 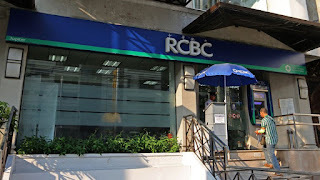 Bangladesh Bank lawyers are expected to file a joint lawsuit against the RCBC with the US Federal Reserve. 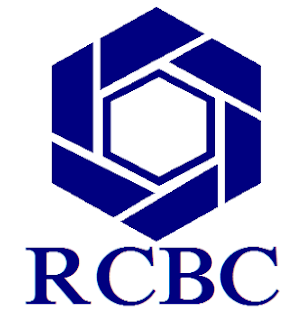 In 2016 the Philippines imposed a record $21 million fine on RCBC after investigating its role in the cyber heist. Philippine authorities have also filed money-laundering charges against the RCBC branch manager. Hackers bombarded the US Federal Reserve with dozens of transfer requests, attempting to steal a further $850 million. Simple typing errors in some requests prevented a greater theft.